Online Performance, Tinder Account, Domain Name, Facebook Page, Webpage. An online performance Artwork for a 21st century election. 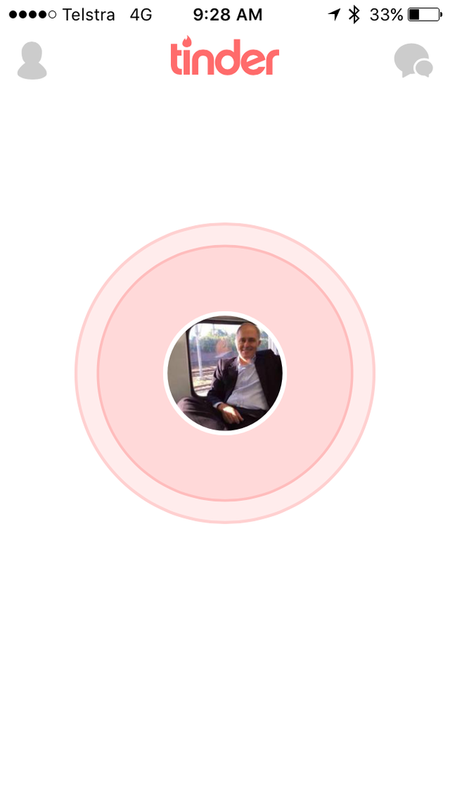 In the digitally lubricated age of social media the Prime Minister of Australia neglected to reserve the domain name mturnbull.com.au - and his Tinder profile. With some collaborators the artist decided to be the Prime Minister for a few days an connect with real Australians via the hook up app. The artist leveraged the domain name to register a faux Facebook account and then used the Facebook account to activate a faux Tinder account. 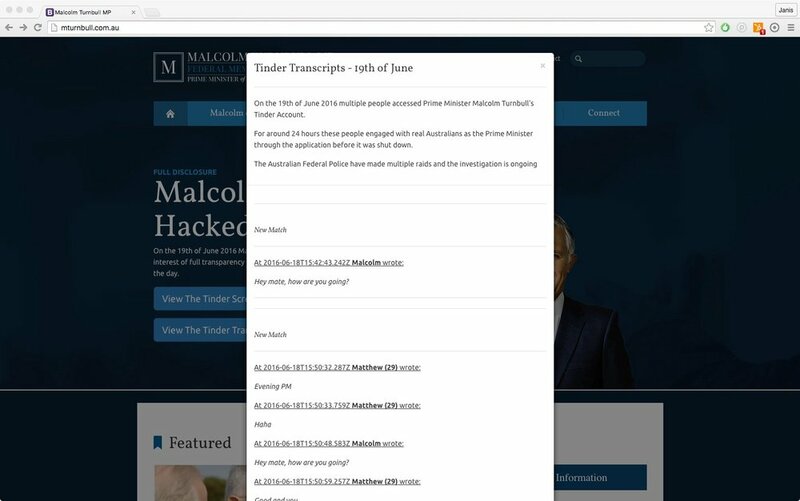 The resulting interactions were then published on a reproduction of the Prime Minister's website at the original domain name.